To answer commonly asked questions, or thoughts in general, I have created this post to have a little Heart to Hart with you all. So grab a cup of coffee and let’s chat. 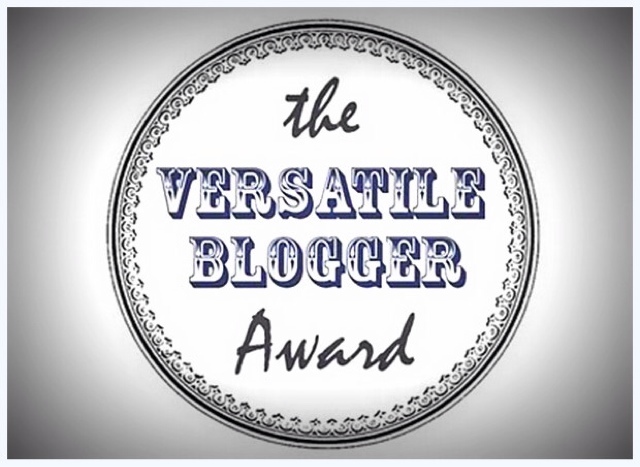 To kick off this new segment I’d like to talk about “The Versatile Blogger Award” that I’ve been nominated for twice! This award is recognition from other blogger’s who see interest in my posts so it feels extra good to know. I was nominated by Beauty Blogger Jenna and Fashion Blogger Simmie. Check them out and tell them I sent you. For general info on this award I think Jenna said it best on her blog which you can read here! 1. I hate Ice Cream. I know what you are thinking… who doesn’t like ice cream? The only reason I can come up with is; I think my mother over did it when I was in the womb. So, blame my mother ( just kidding!) I do like a small amount of frozen yogurt every now and then. 4. I will eat spinach with and on anything. If it has spinach in it, on it or even around it…it will be in my belly shortly. 5. I ran a Half Marathon (13.1 miles) last May. Sometimes I wonder how I did it. “Run, Jess..Run!” That’s all I kept saying in my head. Not sure if I want to ever do it again but its something I will always cherish. 6. I have a Jamaican Wedding License. Definitely one of the coolest things I’ve done. Planned a wedding and got hitched in another country. 7. This one’s a secret…shh! Sometimes I go to the book store to read a couple chapters from several books in one day and then put them back on the shelves. The next day if I can’t stop thinking about it, I’ll download it or go back to purchase. I see it as me narrowing down my choices. I hope you enjoyed reading a few interesting things about me. Leave a comment or more questions that you may have and I’ll answer in the next “Heart to Hart” post. I loved chatting with you over coffee.